Fatima Khan was sentenced at the Old Bailey where she was previously found guilty of orchestrating the killing of Khalid Safi. A WOMAN WHO filmed her ex-boyfriend dying and then posted the video on social media has been sentenced to 14 years for manslaughter in the UK. 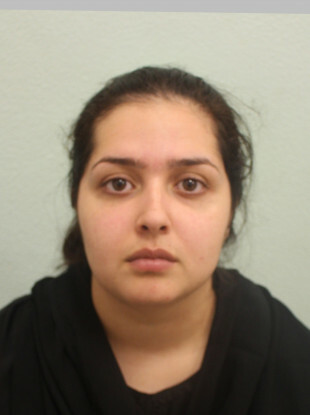 Fatima Khan (21), of Jersey Road, Ilford, was sentenced at the Old Bailey where she was previously found guilty of orchestrating the killing of 18-year-old Khalid Safi. Khalid was found suffering stab injuries after an altercation on Victoria Road at around 6.30pm on 1 December 2016. He was taken to a west London hospital where he died a short time later. A post-mortem examination gave the cause of death as a stab wound to the heart. The court heard that Khan had been in an on and off relationship with Khalid for about two years. However, there was a second man, who was identified in court as Raza Khan. He sought to be Khan’s boyfriend. Because of this, Khalid and Raza Khan disliked each other and had fought in the past. On the evening of 1 December, Khalid turned up at Fatima Khan’s workplace unexpectedly and an argument broke out between them. Fatimah Khan filmed parts of the argument and posted it on Snapchat, claiming that he assaulted her and threatened her with a gun. Fatimah and Khalid then made their way to Victoria Road. At some point during the argument, Khan directly alerted Raza Khan via a group Snapchat post that she was having an argument with Khalid and he would not leave her alone. Raza Khan responded to this post. He allegedly armed himself with a knife and took a taxi to the North Acton area where he knew he would find them both. Upon arriving, Raza Khan spoke to Fatimah before heading over to Khalid. There was a confrontation between the two men which led to Khalid being fatally stabbed. Raza Khan fled the scene. A discarded knife and jacket was later found nearby. He received minor injuries in the altercation and self-presented at a north London hospital, telling staff the injuries were caused by him losing his balance. He was triaged but left the hospital before being treated. He did not return home and he discarded his mobile phone. CCTV footage showed Khan going into a café while the two men were fighting. She was on her phone and was overheard by staff asking someone to hurry up and stated that there had been a problem. She then left the café and went over to Khalid, who was on the floor and dying, where she took photos of him. She was challenged by witnesses regarding her actions. She replied “it’s for my sister” before she calmly walked away from the scene. “When Khalid lay dying after being stabbed, her first thought was to capture the moment for social media – a truly perverse and callous course of action,” Met Police Detective Chief Inspector Mark Cranwell said. Previously, Fatima Khan was arrested on 7 December 2016. She was subsequently released on bail and was charged on 16 August 2017 with conspiracy to commit grievous bodily harm. She was further charged with the murder of Khalid Safi on 31 October 2016. A 22-year-old man who was arrested on 29 March 2017 on suspicion of assisting an offender was later released with no further action. Despite continued appeals to trace the whereabouts of Raza Khan, who is wanted for the murder of Khalid and a £5,000 reward for information offered by UK Crimestoppers, the whereabouts of Raza Khan remains unknown. “A petty argument over rival affections has escalated with a tragic outcome. I hope today’s conviction gives Khalid’s family some measure of comfort and closure,” Cranwell said. Anyone with information concerning the whereabouts of Raza Khan is asked to call the police incident room on 020 8721 40534. Alternatively, information can be provided anonymously to UK Crimestoppers on 0800 555 111. Email “Woman who shared clip of dying boyfriend on social media jailed for 14 years”. Feedback on “Woman who shared clip of dying boyfriend on social media jailed for 14 years”.